In our office we have a college student who works for us. This girl is among one of the rare few people I have met that I can honestly say has a joyful soul. Is she happy all the time? No. But there is something about her that is unlike others. The guy she dates, also a college student here, is just like her as far as decency and humor and just being a pleasure to be around. I think they are one of the most perfectly matched couples I have ever seen. They are fun to watch and fun to interact with. If they ever break up I will be heartbroken. Today, as she was touching his hair he commented, "I need a haircut." "No," she tells him while still playing with his hair. He says, a little defensively, "Just the sides." She says, again, "No." It's a pretty definite and bossy no she's giving him (in my opinion). Being a contrarian, I immediately point out she would not tolerate him dictating to her whether or not she can cut her hair. What woman would, right? Before she can answer, he rolls his eyes and says, "I can't because she's black." "That's right," she says. Still affectionate. Still playing with his hair, "You don't tell a black woman how to wear her hair." I can't accept this. It makes no sense to me. What the holy toadstools does being black have to do with this?? I am not satisfied with this answer, 'You don't tell black women how to wear her hair.' What is this? It just doesn't compute in the mind of Lealyn. So, I immediately walk over to TC, my coworker and expert in everything black. Because she's, you know, black. Her response is an unhesitating and definite agreement. 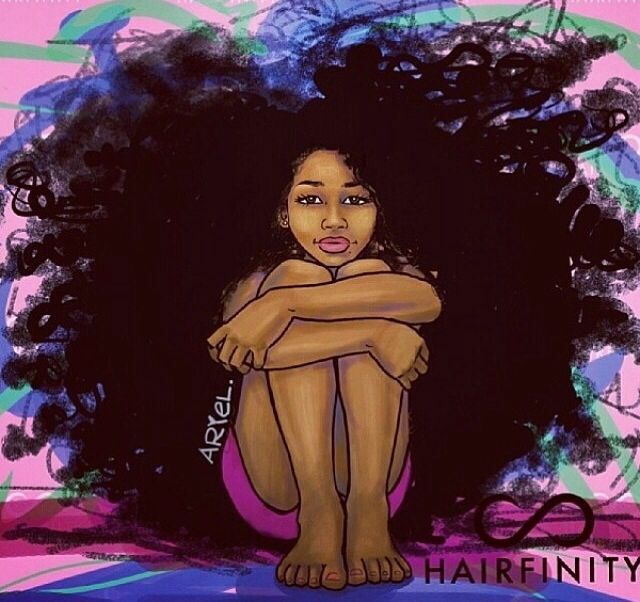 He cannot tell her what to with her hair because she's black. Conversation over. I have just been gobsmack with a big ball of perplexed. I. Just. Don't. Get. It. It's not because he's a man or because no one should dictate to their partner what to do with their own body. It's because she's black?? I can't accept this reasoning. I can't let this go. Now, I am making a fuss. Also in our office is a supervisor I respect a great deal. She's even tempered, fair, and professional. She is also TC's boss- and white if it matters. With a frustrated sigh she gets up, comes out of her office and says impatiently, "He can't because she's black. 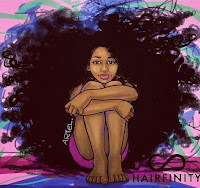 You don't come from a group who has been traditionally prejudiced against based on hairstyles. Or told how to wear your hair. He can't tell her, no matter if he's black or white, because she's black." And then she walks away. Done. Finished. Ok. Consider me schooled. Except....... Shouldn't the answer still be he can't tell her what to do with her hair because it's her hair? So, I guess I'm a classroom failure, or simply too white to understand. Or something. I don't know.